Gilbane is the builder of choice for hospitals, clinics, and other healthcare facilities and is ranked among the top healthcare construction management firms by Modern Healthcare, Engineering News-Record, and Building Design + Construction. 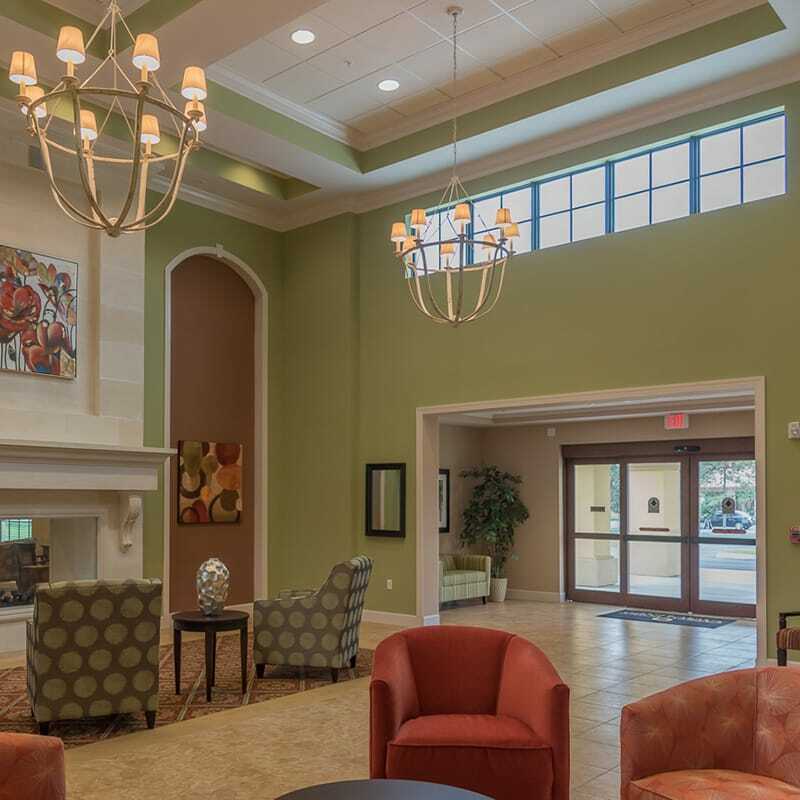 Architect: Lawson Group Architects, Inc.
Gilbane provided construction management services for a new senior living facility for Omega Communities in Fort Myers. 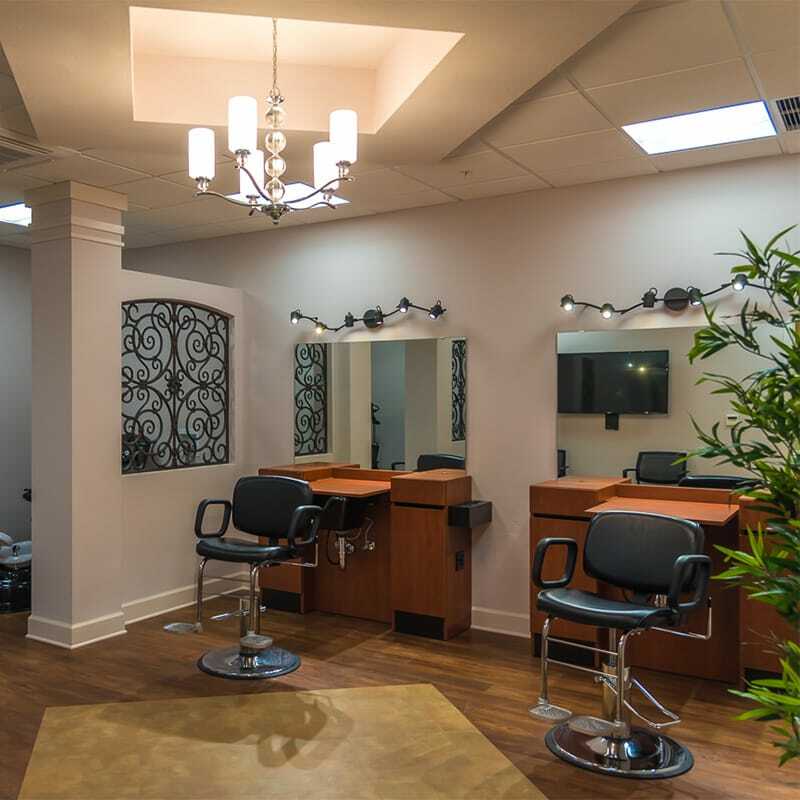 The facility is a three-building facility consisting of a three-story ALF wing, single-story commons building and a single memory care wing. 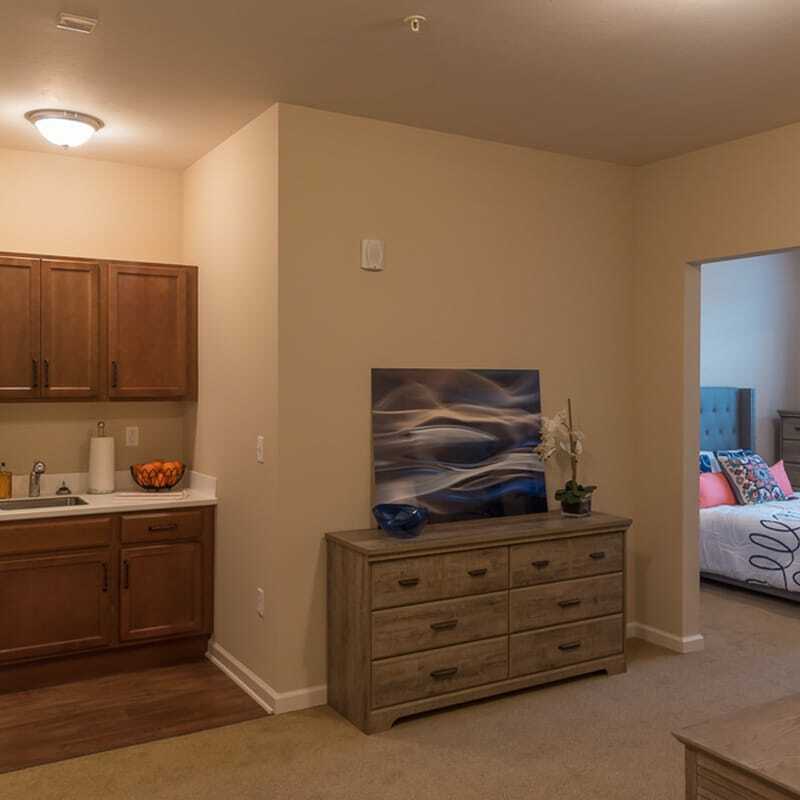 The three-story building features 134 total units, a combination of two-bed, one-bed and studio residences. 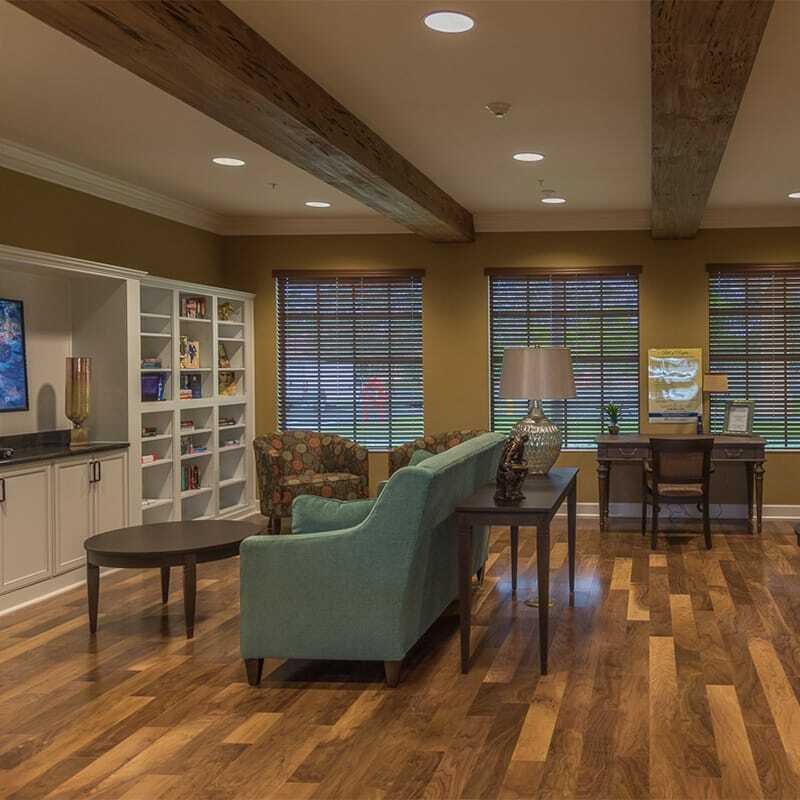 The memory care wing has 38 one-bed units. The commons building houses a kitchen, library, exercise, salon, dining and activity area for residents. There is an office for on-site staff. The building style is a combination of Spanish concrete tile system and low-slope areas and the exterior façade is cementitious finish with quatrefoils and banding to give the facility a Mediterranean style. Three different types of roofing were used: thermoplastic polyolefin (TPO) single-ply roofing membrane, barrel tile roof engineered truss system and steel joists and decking. The facility meets South Florida Building Code guidelines. Built with high impact glass and emergency back-up power for all life systems as well as the ability to withstand 170 mph winds, the facility was tested just a few months after completion by Hurricane Irma. Over 100 wheel-chair bound elderly from another senior living facility were moved to Cypress Point within a 5-hour period for safety. Despite high winds and power outages, back up refrigeration, gas, life safety, emergency outlets and emergency lighting systems operated efficiently. Although an appliance vendor had been selected, Gilbane took the initiate to research residential appliance providers. Substituting a different provider, Gilbane saved the owner thousands of dollars in washers, dryers, microwaves, refrigerators, ovens and dishwashers as well as flooring, landscaping and structural changes resulting in over $500,000.00 in Value Engineering savings for the Owner.